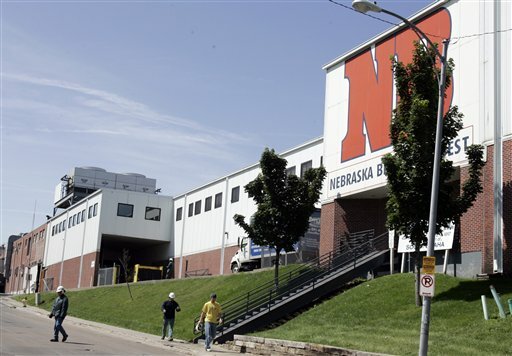 The DOJ claims that Nebraska Beef Ltd., a Nebraska-based meat packing company, "required non-U.S. citizens, but not similarly-situated U.S. citizens, to present specific documentary proof of their immigration status to verify their employment eligibility." The settlement also requires the business to undergo compliance monitoring for two years, train employees on the anti-discrimination provision within the Immigration and Nationality Act, and to revise policies within its office. The DOJ’s Office of Special Counsel for Immigration-Related Unfair Employment Practices objected to non-U.S. citizens being "targeted" because of their citizenship status. "The department’s investigation found that the company required non-U.S. citizens, but not similarly-situated U.S. citizens, to present specific documentary proof of their immigration status to verify their employment eligibility," the DOJ claims. This could constitute a violation of the Immigration and Nationality Act (INA), the feds assert, because its anti-discrimination provision prohibits employers from making documentary demands based on citizenship or national origin when verifying an employee’s authorization to work. With the feds breathing down its neck the business, Nebraska Beef Ltd, agreed to pay Uncle Sam a $200,000 civil penalty and establish an uncapped back pay fund to compensate individuals who lost wages because they couldn’t prove they are in the county legally. Additionally, the business will undergo "compliance monitoring," which means big brother will be watching very closely. The head of the DOJ’s civil rights division explains that the agency is on a mission to eliminate "unnecessary and discriminatory barriers to employment" so workers can support their families and contribute to the U.S. economy. The DOJ issued a statement after the settlement saying they committed to protecting individuals against unnecessary discrimination in barriers to employment. "The department is committed to ensuring that individuals who are authorized to work in the United States can support their families and contribute to our country’s economic growth without facing unnecessary and discriminatory barriers to employment," said Principal Deputy Assistant Attorney General Vanita Gupta, head of the Civil Rights Division. "We will vigorously enforce the law to remove such barriers where we find them, and ensure that affected individuals have a means of seeking relief." This entry was posted in Issues and tagged Department of Justice, Immigration, Lawsuit. Bookmark the permalink.